Baker and Associates LLC, a retained executive search firm, works with universities, colleges, and conservatories in identifying and recruiting world-class talent. The members of the firm have extensive backgrounds in retained executive search, collectively bringing some 70 years experience. We have conducted over 900 searches for the position of President, Provost, Dean, School Director, Department Chair, and Professor. Well known for our hands-on approach and accessibility, we combine our experience with innovation to provide premier executive search services beyond our clients' expectations. Click here to see more information about this sponsor. “The greatness of a city depends not alone upon great boundaries or multitude of inhabitants but upon the probity and industry of its citizens.” Mayor Sly James, his Advisor to the Mayor for Cultural Economy, or another representative of Kansas City will welcome the International Council of Fine Arts Deans. Please also join us in meeting and thanking our Conference sponsors. Where others see only numbers, physicist and musician Domenico Vicinanza hears dance tunes and epic scores. Vicinanza sonifies raw data by mapping it to musical scales. In 2012, he collaborated with other musicians and researchers to turn data from the discovery of the Higgs Boson particle into a toe-tapping motif. Vicinanza’s latest project is heaven-sent: He turned raw feeds from Voyager 1’s magnetometer into a space odyssey symphony. He’s currently working on a “duet” between Voyager 1 and Voyager 2. Preparing K-12 Educators in the Arts: A Necessary Evil or Our Lifeblood for the Future? Preparing K-12 educators in the arts is not as glamorous as coaching the next Met star or the student who is destined for the NY ballet stage. However, through these stalwarts of the classroom will come the next generation of artistic stars. What are the challenges that each of the arts areas face in preparing students for K-12 classroom, what road blocks are in place due to certification and other bureaucratic issues, and how do we encouraging the most enthusiastic of our arts students to pursue this career and infect their next generation with artistic excitement? This panel will present their thoughts on preparing educators in the different arts areas. With increased national attention on graduation and success rates, colleges and universities in all sectors are working to strengthen articulation agreements and remove barriers to transfer. Arts programs present particular challenges as faculty and administrators try to align an ever-growing array of associate and baccalaureate degrees while remaining sensitive to entry requirements such as auditions and portfolios. In this discussion session, panelists representing both community colleges and universities will share current trends and data, consider challenges and opportunities, and highlight some successful models in hopes that this presentation will be the beginning of an ongoing conversation among ICFAD institutions who want to work together and share best practices. Are the music programs of institutions of higher education preparing students for today’s changing music job market? Are students being prepared for the business of a music career? Bobby Watson is an American post-bop jazz alto saxophonist, composer, producer, and educator who will share his observations and recommendations on preparing young artists, based on his personal experiences. Now with his more than 26 recordings as a leader, and appearing on nearly 100 other recordings as either co-leader or in a supporting role, Watson has recorded more than 100 original compositions. He will share stories and insights from his personal evolution as a musician and educator, in this inspiring presentation. HMS Architects is a recognized leader in providing sound, creative and enduring design through a collaborative process. We work with colleges, universities and architecture firms throughout the country to accomplish innovative performance solutions for our higher education clients. Art, science and medicine have been intimately linked over centuries. More recently, applying scientific rigor particularly in the neurosciences, to music, has created an entire paradigm shift in clinical music therapy and improved the outcomes of arts-based therapies. This session will describe interdisciplinary collaborative research undertaken between Johns Hopkins School of Medicine and the BRAIN lab, supported in part by the College of Fine Arts at Western Michigan University. Our aims are to understand the neural substrates of creative behavior and the application of that knowledge in the delivery of clinical neurologic music therapy services. 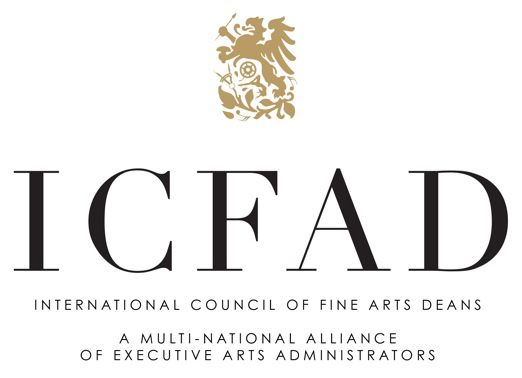 Please see this page of the ICFAD website for a detailed presentation of our Roundtable Sessions. Theatre Consultants Collaborative is a team of industry veterans and creative thinkers that share a passion for designing spaces that nurture and celebrate the performing arts. TCC helps guide universities, colleges and architects through the complexities of programming, planning and design, as well as the design and integration of specialized performance technologies. 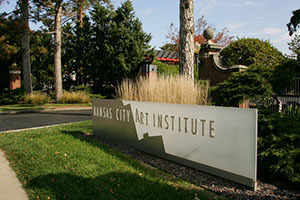 About Kansas City Art Institute: When a group of Kansas Citians got together in 1885 to start a Sketch Club “to talk over art matters in general and to judge pictures,” they could not know they were creating an institution that would become a distinguished four-year college of art and design: The Kansas City Art Institute. Notable names associated with the school include Walt Disney, who took Saturday classes there as a child; painter Thomas Hart Benton, who taught at KCAI from 1935 to 1941; multimedia artist Robert Rauschenberg, who studied fashion design at KCAI in the 1940s; sculptor, conceptual artist and writer Robert Morris, who studied at KCAI in the late 1940s; J. C. Nichols, real estate magnate and founder of Kansas City’s Country Club Plaza, who was president of the board of trustees from 1920 to 1927; and William T. Kemper Jr., who joined the board in 1934 and served 54 years until his death in 1989, longer than any other trustee. During the J.C. Nichols years, the school’s budget was $40,000; today that figure tops $15 million. Since its inception the school has moved multiple times, from its original location at 11th and Main streets to its current site at 4415 Warwick Blvd., where the campus has been located since 1927. Buses will return to The Kansas City Westin at Crown Plaza at 7:30 p.m.
Or, ICFAD members and guests may want to walk across the street to the Nelson-Atkins Museum of Art, which is open until 9 p.m. Recognized internationally as one of the finest general art museums in the United States, the Nelson-Atkins currently maintains collections of more than 33,500 works of art. The Museum’s vast holdings provide the opportunity to create new connections and unique experiences at every turn. Dinner on your own. Within a short walk of Kansas City Art Institute is The Plaza. The Plaza is an upscale shopping district and residential neighborhood nearby. Established in 1922 by J.C. Nichols and designed architecturally after Seville, Spain, the Plaza comprises high-end retail, restaurants, entertainment venues and offices. The neighborhoods surrounding the Plaza consist of apartment buildings and upscale houses, especially those of the Country Club District built along Ward Parkway on the Plaza's southern and southwestern side. The Country Club Plaza is named in the Project for Public Spaces' list 60 of the World's Great Places. In the heart of Cappadocia, Ayvali village, with its 35 meticulously restored and designed cave rooms, this is an idyllic (and affordable when you mention ICFAD!) place for faculty and students to stay when visiting Turkey. The hotel, which was used as a monastic retreat in the Byzantine Era, offers a strikingly beautiful nature, serenity and contemporary comfort in a pristine village of unspoiled beauty, without distracting from the spiritual feeling of the area which has been known to be inhabited for more than five thousand years. Cappadocia is not to be missed, with its cave churches with frescoes dating back to the 12th Byzantine Era; an unexcavated underground city; villagers still living in cave houses who keep their latch strings always out for guests of Gamirasu; apricot, grape, apple and pear fields; breathtaking rock formations; historical monuments; and so much more. Rest with pleasure and in comfort at Gamirasu Cave Hotel, while enjoying the view of Byzantine ruins. Originating in the United Kingdom and Australia in the latter 1990s, “Creative Industries” refers to a distinctive group of creative fields pertaining to print and electronic media, design, entertainment and the visual and performing arts. While these fields have long been recognized for their cultural value and their role in enhancing social cohesion and quality of life, their increasing importance as engines of economic prosperity and urban renewal are now fully recognized. While some businesses in this sector tend to operate with a very high degree of risk and unpredictability or display a strong susceptibility to public regulatory, revenue and cultural policies, others clearly benefit from the manifold ways in which the Creative Industries encourage and indeed embrace disruptive innovation and entrepreneurial risk-taking. This panel looks at different ways in which entrepreneurship contributes to the growth of the creative industries and examines innovative ways of preparing students for success with their entrepreneurial ambitions. The three pillars of support that Colleges of Fine Arts rely upon are (1) state/university budget funding, (2) gifts by donors and private foundations, and (3) grants from public entities. This third pillar can take numerous forms. Typically, however, it is some form of “arts council/commission” at the local, regional, or state level. How effectively a university arts entity is able to make the most of a specific council/commission depends on a number of factors: the programs such a council is willing or able to fund, the flexibility of that university program to take advantage of those specific programs, and the ability of both parties to clearly communicate needs and information to each other. In a time when the use of tax dollars spent on the arts has come into question it is particularly prescient that this communication be clear. This panel will discuss the role that various council/commissions play and how colleges of fine arts can most effectively benefit from the resources they offer. To review the ballot and candidate profiles for election, please click here. What if...your people made the leap from mistrust, missed opportunities and "power plays" to higher ground, bringing out their best thinking together? What if...the innovation and excellence already present could be accelerated? We design and facilitate uncommonly transformative and enjoyable multi-stakeholder conversations that matter...to you and the arts. This session presents varied personnel challenges the Dean faces and suggestions for handling them. Examples include managing colleges with multiple units in addition to the arts; managing college reorganization; handling difficult reappointment, tenure and promotion cases; dealing with “bullies” and issues related to time management. Facilitators and participants will discuss these and other challenging scenarios faced by the Dean and suggest approaches to dealing with them. This session aims at igniting a discussion on the many roles and issues associate deans assume and confront in the course of their appointment. Issues such as transparency in considering the assoc. dean as the dean’s confidant or just a good soldier; the role of the assoc. dean as mediator in working with students during periods of conflict; the clear definition and sharing of responsibilities with more than one assoc. dean; problems of deanship representation arising when working with donors and/or attending official academic functions and conferences. These and many more topics will enliven this session while creating critical scenarios the participants would wish to bring forth for discussion. Inclusion and diversity present both challenges and opportunities for arts administrators in the 21st Century. This panel will discuss effective strategies for building and retaining diversity. The role of social innovation and social justice in today¹s academic environment will also be explored. Closing the presentation, and joining us at Friday evening’s reception, will be very special guests Robula Gibsun and Eric Stanley. For more than five decades, HGA has specialized in planning, programming and designing cultural architecture for colleges and universities. From visual and performing arts centers to museums, theaters and studio arts, HGA works with clients to design arts and educational facilities that foster engagement and build community. KCMO Arts Convergence: Becoming a 21st Century Cultural Center, is a ten-year planning report resulting from two years of methodical analysis and community engagement by the Mayor’s Task Force for the Arts. The complete Mayor’s Task Force for the Arts report can be found at www.kcmayor.org. The report will guide the City’s efforts to capitalize on the momentum of the local creative economy and solidify itself as a 21st century cultural center. Utilizing both human capital and the City’s dynamic arts infrastructure, the City is poised to begin implementing strategies to accomplish the four areas of the plan that include: arts education, institutionalizing the role of arts in the City’s overall operations, increasing cultural tourism and finally, embedding arts and culture into cultural planning and neighborhoods. At 10:15 a.m., we will embark on a unique tour of art, design and culture in downtown Kansas City, Missouri, America’s Creative Crossroads! Buses will return to the Westin by 3:00 p.m. The tour begins in the heart of the city’s historical Crossroads Arts District at the new Todd Bolender Center for Dance & Creativity; the home of Kansas City’s premier dance company and the region’s top ballet academy. The Todd Bolender Center is a remarkable example of preservation and adaptive reuse of a former Power House for Union Station. From there we’ll see sites throughout downtown: the Crossroads Arts District, the Westside, the Power & Light district, the River Market and Crown Center. Among these, we’ll see the remarkable new Kauffman Center for the Performing Arts, Liberty Memorial, and many other unique sites in the downtown area including nationally recognized historic and contemporary public artworks.